After finishing its ICO earlier this summer, CryptoAds Marketplace is now ready to continue to develop its unique blockchain marketing solution that will enable marketers, advertisers, content publishers and others to find their ideal audiences. Many experts believe that targeted digital marketing will be the way of the future for advertising, and the new platform aims to be at the front of the pack by unveiling a dynamic app that will allow advertisers to deploy strategies using a wide variety of multimedia formats across an unlimited number of platforms. According to ChiefMarketer.com, the global marketing and advertising industry is expected to grow by 5.5% this year, making it into a $1.3 trillion industry. This will mark the highest revenue growth the sector has enjoyed over the past decade. Importantly, digital and alternative media—which includes over-the-top (OTT) video advertising on the Internet, influencer marketing, and smart marketing, will account for over 38% of that growth, and is expected to generate up $496 billion. This is where CryptoAds is aiming to impact the industry with its blockchain solution. It’s a system that’s meant to benefit everyone who uses it. On the one hand, advertisers can easily search for quality publishers for their content, while the app also enables website owners and other distributors to provide relevant audience statistics directly to potential marketers. Meanwhile, end users engage only with the content they’re interested in. That means marketing professionals will be able to launch strategic campaigns using a wide range of multimedia formats on many platforms to reach a more targeted and engaged audience at a reduced cost. By employing this groundbreaking app, marketers will be able to position native videos, mobile ads, video clips, immersive 360° videos, banners, and more into relevant websites or other applications, all of which will be more likely to be engaging to end users. The platform is powered by its CRAD token, which CryptoAds will begin distributing to its token holders on September 15, 2018. CRAD tokens have also been available for purchase on the Coinplace.pro cryptoexchange since August 28. Over the next nine months, the project will introduce its trading platform that will enable brands, digital advertisers, marketing experts, bloggers and everyday users to negotiate and trade directly using the CRAD token, without the need for brokers or other intermediaries. To improve their delivery capabilities, CryptoAds has recently formed strategic partnerships with a number of other blockchain-based projects, including NEM, EtherZero, and Hadeez. NEM, is a blockchain-based platform that allows companies to create real-world applications to support business transactions on the blockchain without having to employ heavy development resources. CryptoAds plans to integrate NEM’s blockchain solution with its development on Ethereum, and will also use EOS, which is touted as an up-and-coming alternative to Ethereum. CryptoAds will also build part of its platform infrastructure using the next-generation smart contract project EtherZero (ETZ), which is a hard-forked project based on the Ethereum network. ETZ employs an autonomous community governance system which can enable tens of thousands of transmissions per second with no transaction fees. By integrating ETZ’s technology into its own platform, CryptoAds will be able to offer its users flexibility, top-level transaction speed, and scam-free quality service. CryptoAds also recently partnered with Hadeez to build a hardware wallet for platform users intended to protect their savings from phishing, fraud, and theft. The small device can easily be carried around or stored in a safe place and will connect to a computer via Bluetooth. It will be protected with an encoded private key secured by a client-generated alphanumeric password. Users who hold more than $200 worth of CRAD will be given the hardware wallet free of charge. CryptoAds Marketplace is the brainchild of the development team behind the popular CallsFreeCalls (CFC) app, which has 7 million users worldwide. The VoIP app, which allows users to make calls and send texts for free, will be fully integrated into the new CryptoAds blockchain platform. CFC users and gamers will benefit from the various offers from advertisers. In exchange for engaging with a brand’s advertising content, users will reap rewards like access to various services, video content, or in-game perks. 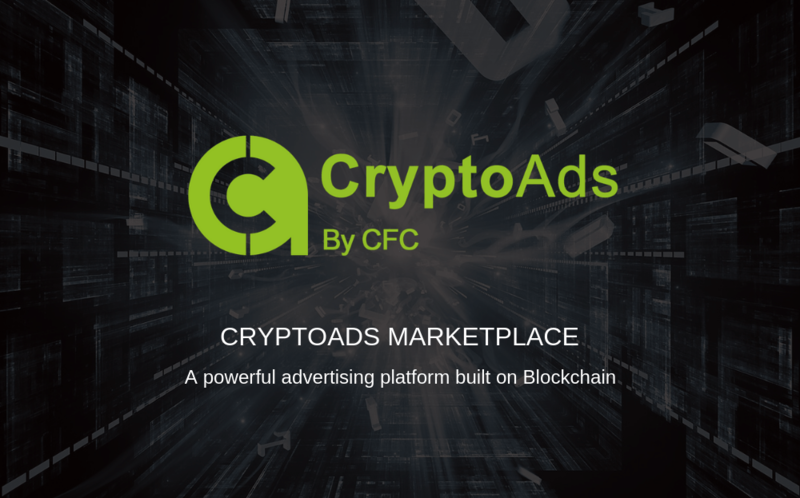 To learn more about CryptoAds Marketplace, please visit their website at tokensale.cfc.io.